A dog treat is more than just a snack for your canine companion. Some dog breeds, such as those in the working group, are “food motivated”. 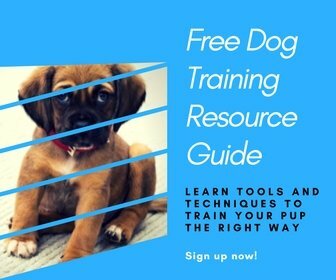 This means that if you want your dog to learn a command or trick, they will be convinced to repeat the trick if you supply them with a little treat. The best store-bought dog treats are made with healthy, natural, real ingredients. We recommend some of the best we have found and tell you how to choose the right treats for your pup. Different dog treats have their own uses. Your pup’s favorite treat is the best type to use for training. To find out what your dog loves best you may have to try a few different ones. You will soon figure out what flavors your pup likes best. Or, if you are lucky, maybe your pup will just eat anything. If you are trying to get your dog to take a pill you can use soft treats to employ the old “hide the medicine” trick by wrapping the medicine inside the treats. Crunchy and chewy type treats will help to clean your dog’s teeth and prevent dental disease. Flavored treats are just tasty and fun for your pup. Regardless of what dog treats you choose, be sure that the calories in the snack are taken into account and then reduce that amount from your dog’s regular meals. Foods used as a treat are often calorie-laden and if your dog eats a lot of treats and then receives a full ration of food you could end up with an overweight pup. Low-calorie treats are great for training so you can give your dog a few in a row without worrying about him putting on too much weight. It is important to find out your dog’s calorie needs from his veterinarian, and you can also ask the vet what they recommend as good treats for your dog’s breed. One option available for your dog treats is using real food. If you choose to use food that people eat, it is important to know what you should not give to your dog. Firstly, do not feed your dog chocolate. It contains a chemical that sends a dog’s heart racing and will create long-term damage. Secondly, no fatty foods like chicken skin. Cooked bones are also not acceptable because they can splinter and choke your dog or perforate his intestines. Lastly, be careful with rawhide dog treats because they also can splinter or be swallowed whole and cause problems. Better choices for a homemade dog treat include small chunks of a cooked meat, a chunk of cheese, apple slices, or perhaps a small amount of peanut butter smeared on a toy. Several pre-made dog treat options are available on the market but be sure to purchase a high-quality brand to avoid filling your dog with empty calories. The best choice would be a good premium dog food doled out in small amounts because it is scientifically formulated for your dog. A holistic, natural dog food is not only good for your dog’s health, but they are tasty enough to be considered a treat. If you prefer to just buy your dog treats, these are our recommendations for healthy, natural dog treats. These treats are made with quality and whole-food ingredients, including high-quality protein, whole-food berries and savory herbs with no corn, wheat, or soy. They are less than 3 calories per treat. They come in a variety of flavors, including real duck, rabbit, pork, salmon, peanut butter, or chicken. They are not grain-free though, so keep that in mind if your dog is on a grain-free diet. These are a 100% grain-free dog treat made with quality natural ingredients. They are a dry, crunchy treat and are available in a few flavors including duck, turkey, and salmon. They use no fillers and are great for dogs with allergies to wheat, corn, or other grains. These are a healthy slow smoked, tender dog treat. These 6″ jerky sticks come in beef, chicken and turkey flavors. They are a great healthy and natural dog treat made with high-quality, all-American, premium ingredients and no artificial flavoring or fillers like corn, soy, and gluten. The thick, long segmented sticks can easily be broken into smaller pieces so they go further. These great treats are made in the USA and are 98% meat, organs, and bone. All ingredients are sustainably sourced and the all-natural recipe uses the highest levels of protein-rich meat. They are also grain-free and have no added hormones, antibiotics, or fillers. The raw treat can provide your pup with relief from allergies, a vibrant skin and coat, healthy teeth and gums, greater stamina and vitality and a healthy immune system. We love these 5-oz peanut butter and molasses dog treats. They are 100% natural and made in the USA with human grade ingredients. They are wheat, corn, and soy free with no preservatives, artificial colors or flavors. They are also USDA Organic Certified. They are a great source of proteins, carbohydrates, healthy fats, and a variety of minerals and have no added sugar or salt. A great organic treat for your pup. These freeze-dried 100% raw beef treats are ideal for pups who love their meat. They are made in the USA from premium, human-quality beef and have no artificial ingredients. They also come in lamb and turkey if you want to try different flavors for your dog. These great meat-free treats are a good alternative for something healthy for dogs. They are made with all natural ingredients like pumpkin, oatmeal, barley, and potatoes. They are rich in antioxidants, vitamins, and other great nutritional benefits. When training your dog, keep a handful of treats in your pocket and dole them out one at a time as your dog performs the command successfully. Remember to not overuse treats during training and try to phase them out as your dog learns his tricks. P.S. Help a friend find the best store-bought dog treats by pinning this!